Natural Rose Quartz Gemstone 8 mm Round Beads Necklace Jewelry 16"
ampersand_silver has no other items for sale. 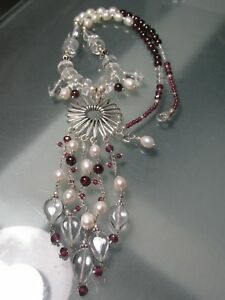 Details about 925 silver *sale* 41gr river pearl, garnet & rock quartz beads floral necklace. 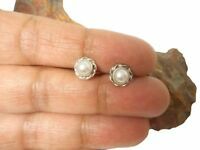 925 silver *sale* 41gr river pearl, garnet & rock quartz beads floral necklace.